Make cozy your way of life with this guide for connecting to the positive energy of simple, everyday moments. 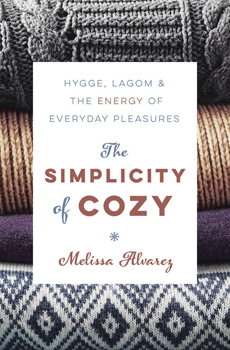 Known around the world as hygge, lagom, and other similar terms, cozy and balanced living helps you improve your health, happiness, and spirituality by understanding and feeling the frequency of people, animals, places, and situations. The Simplicity of Cozy explores a variety of topics, including mindfulness, simple ritual, self-care, home environment, relationship connections, and being in nature. Using easy techniques and exercises, you can tune into and practice the energy of coziness.